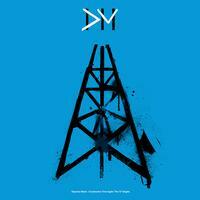 Construction Time Again marked the first time that Depeche Mode released limited edition versions of an album's 12-inch singles, each containing the original mix of each track. Construction Time Again | The 12" Singles includes three reproductions of limited edition singles which each feature four bonus live performances recorded at London's Hammersmith Odeon on October 25, 1982. The set contains the singles from each Depeche Mode album on audiophile-quality 12-inch vinyl, with audio mastered from the original tapes at the legendary Abbey Road Studios. The artwork for the exterior of the boxed set draws on street art iconography inspired by the original releases, while the vinyl sleeves themselves feature the original single artwork.